330 ml serving: Sweet, and smooth tasting. Pale, lime-green, with an aroma of lime and pear skin. 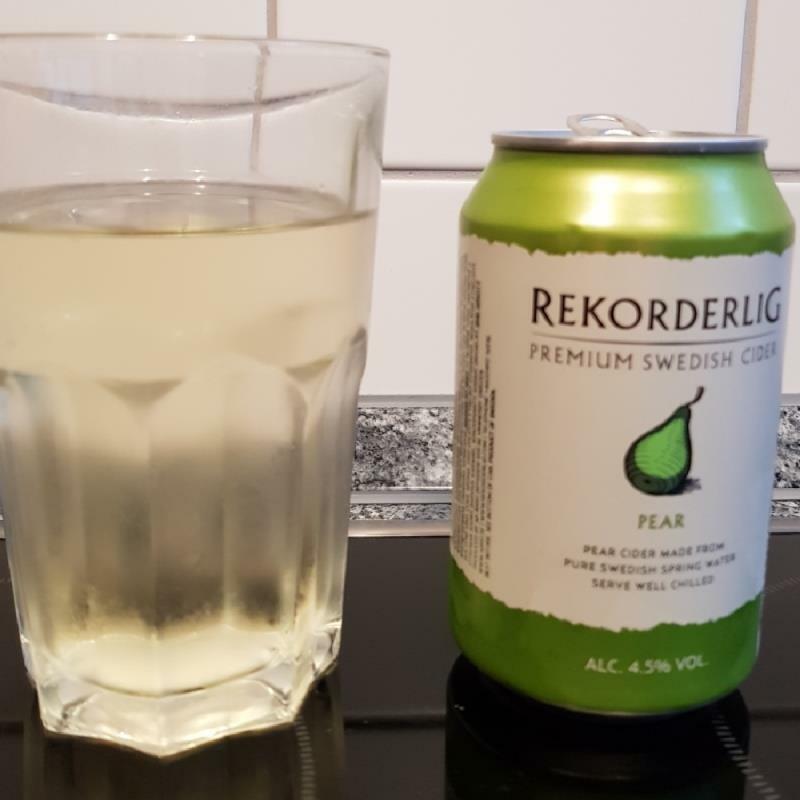 Sharp, with mild pear flavour, and lime tones in the aftertaste. Very drinkable, and pleasant flavour. Sessionable, and suitable for barbecue. Clear pale colored pour with strong carbonation. Nice fruity pear/green apple aroma. Taste is sweet with a strong juicy pear flavor. Can also taste a hint of honey and lime. Medium bodied.